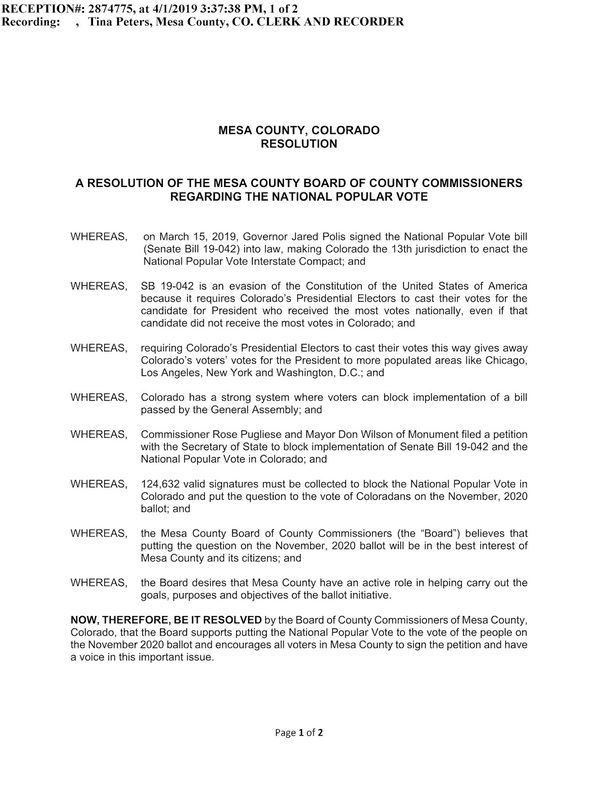 On March 15, 2019, Governor Jared Polis signed the National Popular Vote bill (Senate Bill 19-042) into law, making Colorado the 13th jurisdiction to enact the National Popular Vote Interstate Compact. 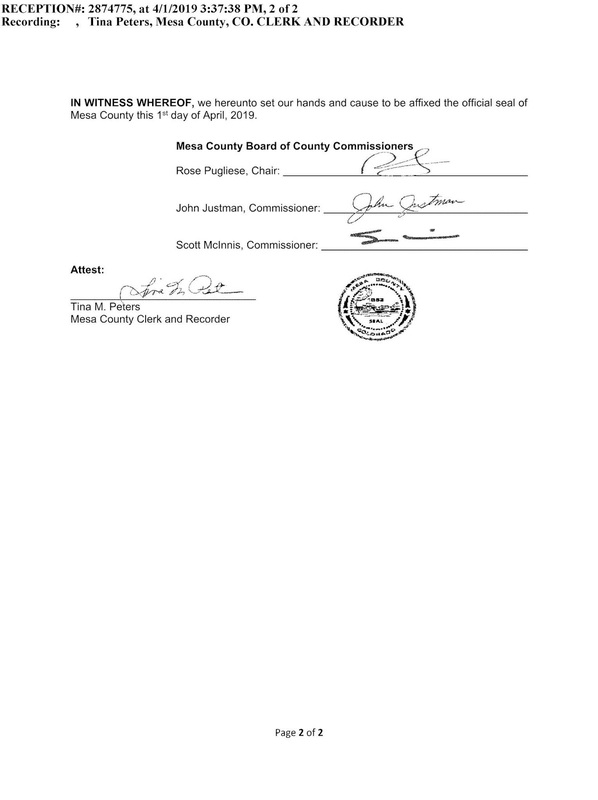 The Board of County Commissioners of Mesa County, Colorado, believes SB 19-042 is an evasion of the Constitution of the United States of America because it requires Colorado’s Presidential Electors to cast their votes for the candidate for President who received the most votes nationally, even if that candidate did not receive the most votes in Colorado. The Board supports putting the National Popular Vote to a vote of the people on the November 2020 ballot and encourages all voters in Mesa County to sign the petition and have a voice in this important issue. 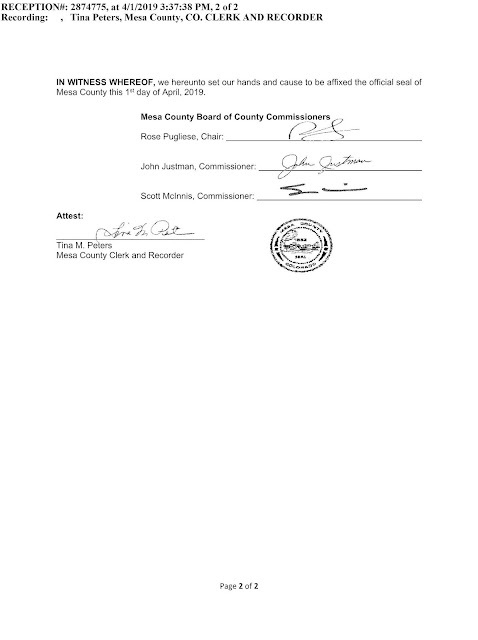 Here is the resolution they adopted on Monday, April 1, 2019.